This is a reporting against to ZANG, Xihong藏锡红 who has been operated the immigration fraud in league with FENG, Zhiqiang冯志强. ZANG, Xihong who is the President of Federation for a Democratic China (FDC: is a political group that advocates the democratization of China through opposition of the Communist Party of China and support of human rights) under the assumed name SHENG, XUE(盛雪). FENG, Zhiqiang who is an immigration consultant in Toronto. Over the past two decades, Zang Xihong and Feng Zhiqiang have made excessive profits from their illegal business – helped about 30 people who claimed for refugee status within Canada to make up the untrue background, political opinion and, even more, the critical threat of persecution from Chinese government while they were in mainland China. As the president of FDC, Zang Xihong has used her position opportunity to provide the certificate of political refugee identification and Feng Zhiqiang assisted with translating and consulting for the relevant documents. As far as we could tell, please find the information below for your further investigation. Chen Wenchao(陈文超) was born in 1977, Beijing. From a wealth family, He met Zang Xihong in Toronto as an international student in 2000. With the great help of Zang Xihong and Feng Zhiqiang, he made false claims about he was being persecuted for his political activities in Beijing. After he successfully granted refugee status in Canada, Chen Wenchao bought luxury properties and fancy vehicle subsequently, then shuttles back and forth between Beijing and Toronto. He rewarded Zang Xihong with 50 thousand dollars’worth of the presale of an apartment at 105 The Queensway (Unit 187, Level C TSCC 2319) for giving false testimony. Zang Xihui (臧锡惠) is the sister of Zang Xihong. In the name of business investigation, Zang Xihui and her husband Gao Fei(高飞) visited Toronto in 1993. Assisted by Zang Xihong, this couple successfully granted their refugee status by fabricated background and false testimony. Shen Yihua(沈益华) is a native of Beijing, now lives in Beijing. Li Zhongyan(李忠岩) is a native of Shenyang, became Canadian citizen and now lives in Shenyang. Zheng Hui(郑辉) is a native of Shenyang, now lives in Toronto and engages in auto repair. Liao Jie(廖捷) is a native of Liuzhou, Guangxi province, she was a police officer before she left China. Liao Jin(廖琎) is a native of Liuzhou, Guangxi province, niece of Liao Jie, and her father is still a police officer in China. Liang Ling(梁玲) is a native of Nanning, Guangxi province, became Canadian citizen and now she lives in China. Liang Xin(梁欣) is a native of Nanning, Guangxi province, became Canadian citizen and now she lives in China. Wang Weicheng(王伟成) is between 50 and 60 with gangland background and might involve in illegal transportation. He has operated nightclub business in China over long time. Wang Weicheng now lives in Barrie Ontario after he granted refugee status. Liu Yaping(刘亚萍) is a native of Tianjin. Liu Yuxia(刘玉霞) is a native of Tianjin. Liang Yongchun(梁咏春) is native of Nanning, Guangxi province. He is the younger brother of Liang Ling. 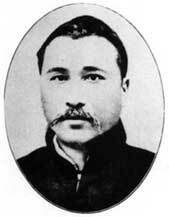 Zhuge Lequn(诸葛乐群) is native of Shanghai, who was smuggled from US to Canada. Zhang Xiaogang(张晓刚) is an Australian citizen, and Zang Xihong’s lover. Zhang Xiaogang is his alias.